At the start of 2018, a UNITAR representative from the Chemicals and Waste Management Programme (CWM) spent a month in Sierra Leone supporting a field study to investigate the Artisanal and Small-scale Gold Mining (ASGM) sector in collaboration with the Environmental Protection Agency – Sierra Leonne (EPA-SL). The study, covering about 18 different ASGM communities, focused on developing baseline estimates of mercury use and analyzing socio-economic, environmental and health aspects of the sector, as part of the wider Minamata Initial Assessment and National Action Plan (NAP) project. 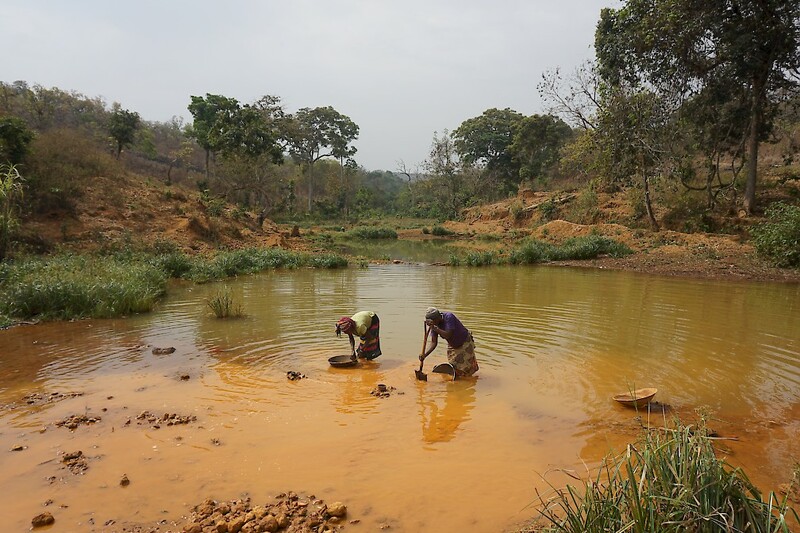 According to the Minamata Convention on Mercury – ratified by Sierra Leone in 2016, a party is required to develop a NAP when the ASGM activities undertaken on its territory are “more than insignificant”. The purpose of this project is to reduce mercury use in the ASGM sector and, more widely, to aim to address the multiplicity of development challenges facing the largely informal sector. CWM put extra emphasis on the formalization of the ASGM sector to unlock its sustainable development potential and to overcome marginalization of artisanal miners and especially female miners.